Roy - The Young Lion (Fire Emblem 6) by Large Leader, Thany, Nao-chan with credit to P:M Team Thanks to Kitsu-chan for the video! Here he is! The young Lion Prince of Pherae! This moveset contains a whole new look as to what Roy could have been like if he wasn't a complete clone of Marth! Neutral Special - His Flare Blade has an awesome new animation. Now, Roy raises his sword in the air as it bursts into flame just like Fire Emblem 6! And beware if you get hit by a fully charged Flare Blade, because you'll be in for a world of hurt. Side Special (Ground) - Roy performs two series of slashes, followed by a rising uppercut and upon landing he dashes forward through the enemy, knocking them skyward. Be careful, as your opponent can easily dodge while you go from your backflip into the dash. Side Special (Air) - Roy dashes forward as he falls down, allowing him to have much more horizontal recovery. Down Special - Here is Roy's counter from Melee, animated by Thany. Upon countering, Roy slashes back and sets the opponent on fire! Wait3 - Roy sheaths his sword and stands in his Master Lord Wait, before unsheathing and preparing for battle! 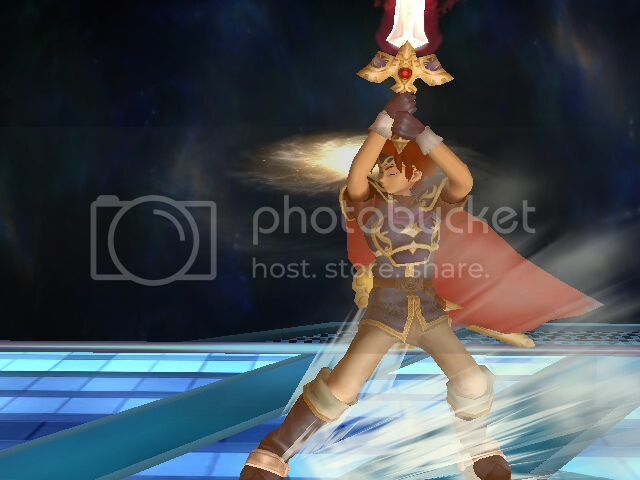 Forward Smash - Roy performs a powerful stab that is extremely powerful at the tip. And there's many more! So go ahead and give it a try! HeavyD88 for all the GFX and SFX editing that I don't have the patience for. 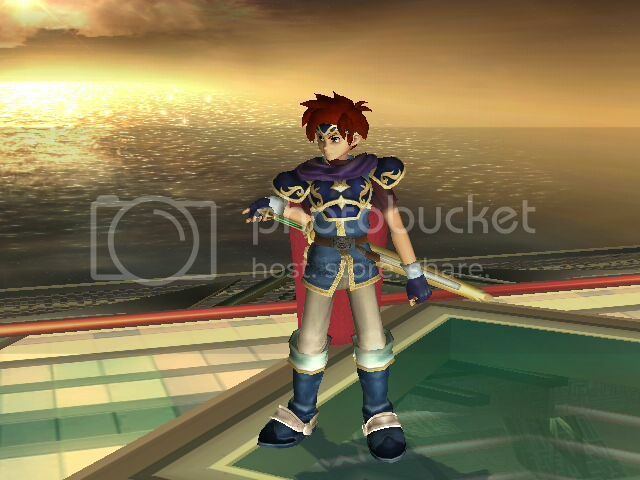 DISCLAIMER: This hack is for Marth, not for Roy (or P:M for that matter). I'm not responsible for any technical or balancing issues you might have if you try this hack with PM.